Becoming a stepparent is a big deal. You will likely play a major role in the development of a child and in some cases will have equal or greater influence than one of the child’s biological parents. While you can and should be excited about this prospect, it is important to understand the rights and responsibilities that come with being a stepparent in Virginia. With respect to your rights as a stepparent, you do not have any. That may sound harsh, but it is the honest truth. You can acquire legal rights through stepparent adoption, [more on that in a moment] but initially you have no rights. Similarly, you have no legal responsibilities either. The law is clear that stepparents are not responsible for the direct support of their stepchildren. That sounds easy, no rights and no responsibilities, but remember those are legal terms. Just because you lack any legal rights or responsibilities relating to your relationship with the child, it should not stop you from taking on an active role in that child’s life. While your first instinct may be to act as you would with your own children, remember your role as a stepparent. You are more of a supporting actor to the biological parent. Treat the child as your own, but remember that the biological parents retain the rights to make major decisions for the child. Is also important as a stepparent that you are aware of how your behavior can impact custody arrangements. Courts may alter custody arrangements in cases where the stepparent is overbearing. For instance, in a case where a stepdad was disciplining the stepchild in a way that was against the wishes of the biological father a conflict arose at a visitation drop off and ultimately custody was transferred to the biological father. As a supporting actor your role is limited and you must remember to conform to the way the biological parents wish to raise their children. Now, if you have developed an ideal stepparent-stepchild relationship you may seek to take the next step and consider stepparent adoption. Smith Strong is one of the few law firms in Virginia that specializes in stepparent adoption. On our website you can find a separate practice area devoted to stepparent adoption. When considering stepparent adoption the first step is for you to file a petition for adoption with the circuit court where you reside. Next, you will have to assess the legal rights of the biological parents. If the non-custodial biological parent is deceased, or consents to the adoption in writing, the adoption will proceed without delay. This means the court will likely forgo any home study or investigation and after the appropriate paperwork is filed a final order will be granted making the stepparent a full legal parent under Virginia law. If the non-custodial biological parent does not consent to adoption, of if their whereabouts are unknown, the situation is a little more complicated though adoption is still possible. In cases where consent is denied the court can still order the adoption if it finds consent is being withheld against the best interests of the child and a continued relationship with the non-custodial biological parent would be detrimental. To make this determination the court will likely order a home study or investigation what will provide it with the information necessary to evaluate the child’s situation. It is also important to note that in cases where the non-custodial biological parent has not visited, or had contact with the child, for six months prior to the stepparent filing the petition for adoption consent is waived. Child support does not constitute contact for this purpose. In situations where the whereabouts of the non-custodial biological parent are unknown, publication will be required. This means a notice of the pending adoption will be published in a newspaper, providing the biological parent an opportunity to respond. Stepparent adoption can be a rewarding experience once the final order is granted and you are a full legal parent. The attorneys of Smith Strong, PLC can guide you through each step of the stepparent adoption process to ensure it flows as smoothly as possible. 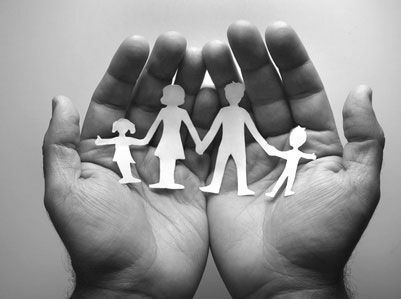 As one of the only firms in Virginia with a separate practice area devoted to stepparent adoption we are uniquely qualified to assist you. Please call one of our offices at 804-325-1245 (Richmond) or 757-941-4298 (Williamsburg).